London: You might be a meat-lover, but what we can see recently is that the world facing the wave of vegetarianism. But why is it so? If we look at the West, meat is their staple food, but Britain alone has 28 percent meat eaters reducing their consumption in the last six months, with 14 percent interested in reducing meat and poultry in their diets in the future, as claimed by industry analysts Mintel. Animal welfare: People have woke up to the mistreatment of animals, and have an ethical obligation to avoid meat, now . To avoid being hypocrites for supporting animal welfare and then going back home to eat meat, many people have completely stopped the intake of meat citing this moral compulsion. This is the top reason in Britain with as many as 54 percent people citing it. Popular films like ‘Cowspiracy’ and ‘Forks Over Knives’ have also shed light on animal atrocities. Health concerns: Many studies have shown that meat intake increases the risk of heart disease, among many other diseases. Around 49 percent Brits cited health concern alone for reducing their meat intake, with them admitting that too much meat might be bad for them. A Netflix documentary, ‘What The Health’, went even so far as to claim that eating one egg was as bad as smoking five cigarettes a day. Weight management: Social media has been instrumental in spreading body positivity, but it cannot be ignored that obesity, a major concern in America and a serious health hazard, is increasing among the urban populace of India too. Studies have shown that a vegetarian diet is more effective for weight loss, as compared to a meat-driven diet. Hence, for 29 per cent Britons, waist has taken priority over meat. Health food bloggers: Many health bloggers have come up in different social media platforms, further motivating netizens to get fit. Plant-based bloggers like Deliciously Ella have been a strong influence to almost 16 per cent British citizens who decided to leave meat for a healthier lifestyle. 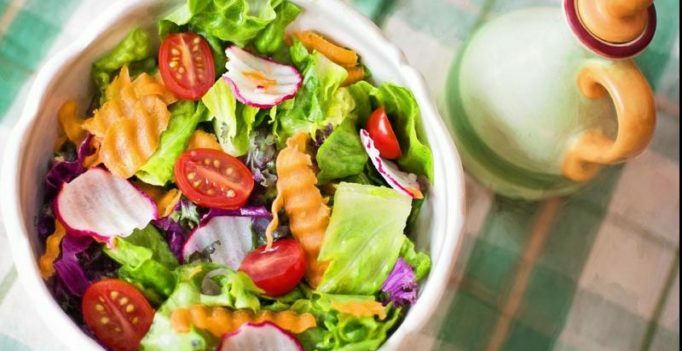 “Following a meat-free diet is likely to be aspirational to many consumers and social media is playing an important role in the attraction of this endeavour,” explains Emma Clifford, senior food analyst at Mintel. Environmental worries: The youth are aware of the incremental environmental issues they would have to face in future. People under 25 formed the majority of vegetarians who cited environmental concern as their top reason. “Flagging up that consumers are making a choice which is good for the environment and which can help to create a greener future in the long-term is likely to be a persuasive selling point,” Clifford explains. Public campaigns: Campaigns like Meat-free Mondays – supported by Jamie Oliver-, National Vegetarian Week, and Veganuary have been strong propellers of green lifestyle, with 39 percent of meat reducers attributing to such campaigns as motivation. Money: It’s a well known fact that a chicken burger costs more than veggie burger, or in other words, food expenses are higher for meat eaters. What could be a greater motivation than saving money? This one is especially for young people who are students or are struggling to make ends meet.